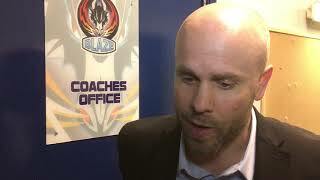 The Genting Casino Coventry Blaze are today travelling to Belfast ahead of the Predictorbet Quarter Final first-leg vs. the Giants at the SSE Arena tomorrow (7pm). 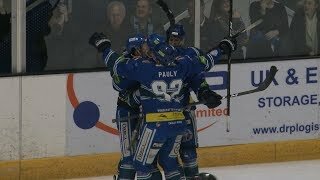 In order to help prepare the team in the best possible manner, the Blaze with a generous contribution from the Blue Army supporters club, will fly out this evening, sleep the night in Belfast before getting set for the big game that will be shown live online via Belfast Giants TV (HERE). The Blaze will then travel back home on Sunday for the second-leg, taking place at the Skydome Arena with a 6pm face-off. We would like to say a huge thank you to the Blue Army for their outstanding support, and we wish all those travelling to Belfast a very safe trip.